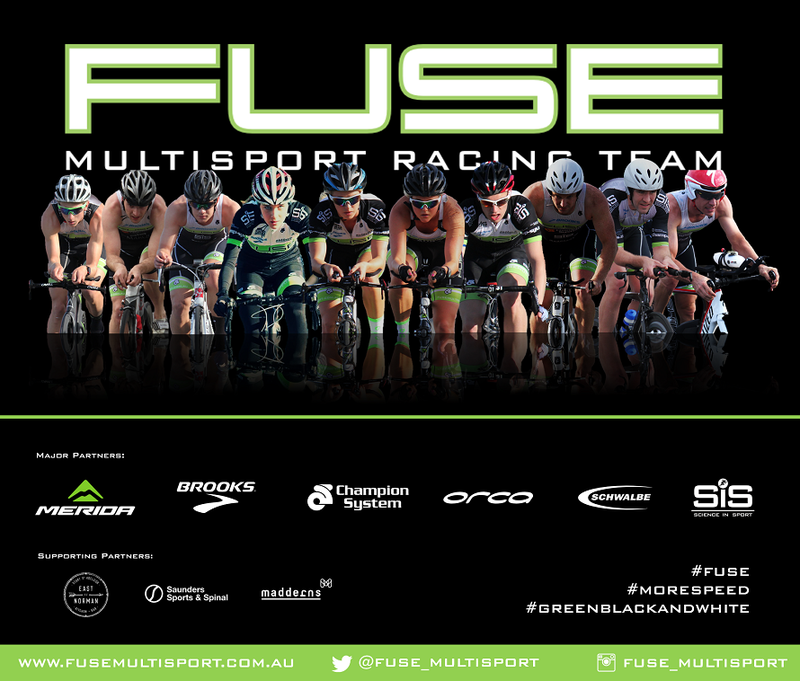 Fuse Multisport: Glenelg Triathlon 2017, Round 2 of the U23 National Triathlon Series. Glenelg Triathlon 2017, Round 2 of the U23 National Triathlon Series. Ticking off my 7th ever triathlon and my 2 nd race of the Australia U23 triathlon series, the Xcelsports Glenelg triathlon ticked all the boxes in terms of gaining race experience. Leading into this race we had decided to keep the volume and intensity up in training and only ease up a day out. We adopted this approach to allow me to continue preparing for races later in the season. As I hadn’t rested for this race, I was feeling slightly tired leading into it, so my main focus was to approach the race with the mindset that regardless of how I feel, my training had prepared me to hit all the goals we had planned to hit leading into the race. The afternoon prior to the race we attended race briefing with the other athletes. At the briefing we were informed that the race would no longer be in the Patawalonga as we had prepared, but it would instead be an open water swim, which would involve a 600m run to the bike transition. At first I was concerned as the longer run following the swim could allow for some of the stronger runners to gain time. But, my coach, Steve, gave me confidence that it would be fine, even with the limited running I had been doing I would be able to hold for the run into T1. Race morning was once again something new. I had done only one other race that had started later in the day so I am still getting the hang of racing prep for midday races. It was a relaxed morning with Steve, we drove down to the team’s Saturday TT set and I knocked of a 10km easy spin and rested in the Fuse Mobile (our team car) while my other squad members trained. I love a relaxed environment prior to the race, so being around my team mates during the morning of the race was perfect for me. We arrived at the race one hour before, with the perfect time to take in the atmosphere, and complete my usual pre-race warm up. I was relaxed, slightly tired, but prepared and incredibly excited to race. Swim: Race Objective 1. Lead the swim. With the tide shifting slightly to my left, I started towards the right side of the start line and almost directly in front of the buoy. Perfect positioning. My run in was the best I had ever done and it put me in a comfortable position once the swimming started. Following my first 16 strokes of max effort I had a comfortable position slightly in front and by the time I was around the first buoy I was leading the swim. I held my position for the remainder of the swim and was out of the water first with some girls very close behind. First objective complete. Bike: Race Objective 2. Front pack on the bike. With a consistent run to T1, I came in second, for a quick switch to bike to form a pairing with Kira Hedgeland. We maintained a lead throughout the whole 20 km leg and gained a small amount of time throughout. The bike was hard working with the two of us, but my objective was to be in the leading group, and it was a fabulous ride. I was very happy and my Merida Reacto performed well on the technical course. Off the bike and into T2 was a little slower than planned. I lost a little time to Kira who lead into the run. Run: Race Objective 3. Just get it done. With the run currently being my weakest leg, I was fully aware the some of the other athletes would be faster than me over the 5 km run course. Pre-race, we had decided to sacrifice run performance for the bike related objectives and race experience and do the best we could for the 5 km – knowing that I would be incredibly tired from executing the swim and bike objectives. The first 2.5 km was quite good, with the second half dropping both speed and form, thus being overtaken by some of the faster athletes. With having some small niggles with running in the past, I had been running once a week for the last few months, and doing run-like sets on an elliptical trainer - so I have massive confidence that in time my running will improve as we progress this. I am incredibly lucky to be able to gain all this racing experience whilst been so new to the sport, which I could not do without Steve’s support, and the team’s partners. I am excited to be heading to Perth in 4 weeks to compete in the Round three of the Australian U23 triathlon series. I have been with Fuse Multisport now for 22 months – and I am loving the sport now as much as I did when I first started and my progress over that time has been amazing. Thanks to our team’s major partners, Merida Australia, Brooks Running Australia, Champion System Australia, Orca Australia, Schwalbe Australia, Science in Sport, and our supporting partners Madderns Patent and Trade Marks Attorneys, East of Norman and Saunders Sports and Spinal.